We ended the month with our monthly journalists' dialogue, engaging six journalists on the concerns regarding the rights and recognition of street vendors evidenced by our Progress Report on Implementing the Street Vendors Act 2014. 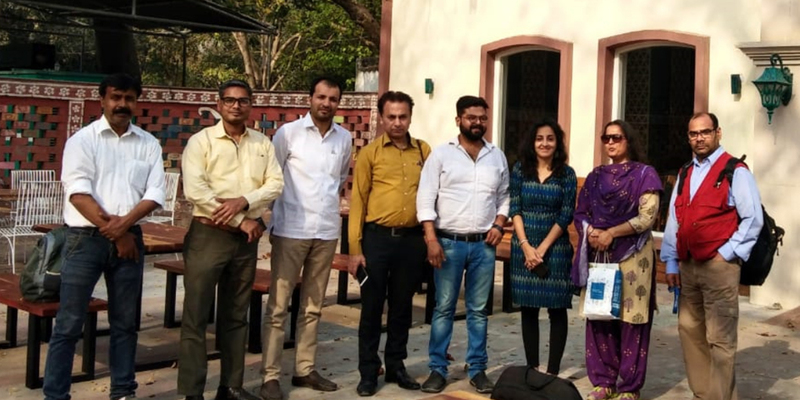 The dialogue was held at IGNCA, New Delhi, and our participants represented prominent media houses, including NDTV, Sahara TV, Rashtriya Sahara Newspaper and Ajit Samachar. The discussion was led by Avinash Chandra, Editor, Azadi.me and Vidushi Sabharwal, Senior Research Associate, CCS, and addressed the challenges faced by street vendors, the gaps in the implementation of the Act, and CCS' on-going research and advocacy for due compliance. Our journalist-participants also shared their experiences from the field, highlighting the role of administrative failures in hampering the effective implementation of progressive regulation.